I like to play. We just got a basketball net and I could’ve stayed out there for hours shooting hoops with Bill, stopping to let Ellie roll it around from time to time. I like to pray and meditate too. I like to watch movies in my pajama’s. I like to read and write and paint. I like to do puzzles. I like to talk. Mostly about myself and what I’m going through…hence the blog. I get to talk all blog and I don’t have to remind myself to be as interested in someone else’s point of view as my own. I may have just gotten a shade too honest there…la la la. I’m a little self-absorbed there’s no denying that. There ARE times though when something miraculous occurs - in speaking with someone truly interesting I’ve forgotten completely about myself. It’s on par with blue moons and free cupcake giveaways. You suddenly find yourself in unusual conversational territory, a twist and a turn and suddenly you’re thinking about big things. Philosophy. Religion. Poetry. The future of mankind. I get tired of using my head to plan meals when what I really want to be doing is planning how to ensure I’m living my best life. That I’m using my potential to help make the world a brighter, warmer, (not literally you understand) safer place to be. That I’m a fulfilled, happy person because how can that not benefit the people around me? So I watched SuperGirl a couple nights ago. Of COURSE I loved it. 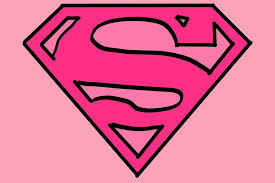 I'm a SuperGirl wanna-be. If I couldn't be Diana Troy running around the Star Trek Universe I wanted to be SuperGirl. Or, I would have been if I'd been allowed to read those trashy DC comics....Archie and Friends were the sauciest comics I could read. Lord of the Rings I could read but a comic book featuring a girl who ran around in a mini skirt saving National City that was too much. (Why am I poking at my parents, they're the only ones that read this regularly?) My audience to two is shrinking. Anyhoo. I used to watch what’s-her-face (Calista Flockhart) in Ally McBeal and I liked that show a lot. She doesn’t seem to have any eyebrows anymore but she’s still too skinny so there’s that. Anyhoo. I don’t normally take cues on how to live my life from a Rom-Com but, that seems like pretty good advice. Start small. Instead of stopping a robbery or rescuing a pet from a tree I can hold the door for a harried mom. Pick up a candy wrapper that wasn’t mine and throw it out. Let someone with less items go in front of me at the grocery store. Keeping myself open to learning new things, trying new foods, experiencing new situations. Meditating or praying regularly. I’ve learned that trying to be MY best self affects others positively too. It’s a chain reaction of good stuff. FYI Deepak and Oprah have these free 21 day meditation challenges from time to time, there’s one right now you can register for and catch the last 14 days. Ok you made me do math so now you have to at least THINK about checking it out. Ha ha actually I don't remember a specific 'no' to that either I think I just assumed it wouldn't be approved! And I think we turned out just fine too. A little geeky, but that would have happened no matter what you did.